In my first post on my garden project I shared my how I lost my first plants. Since that time I’ve talked to my aunt who is a gardening wizard and she gave me some great pointers. I also bought another tomato book, it was free and I love a deal. My efforts and patience are being rewarded this time. 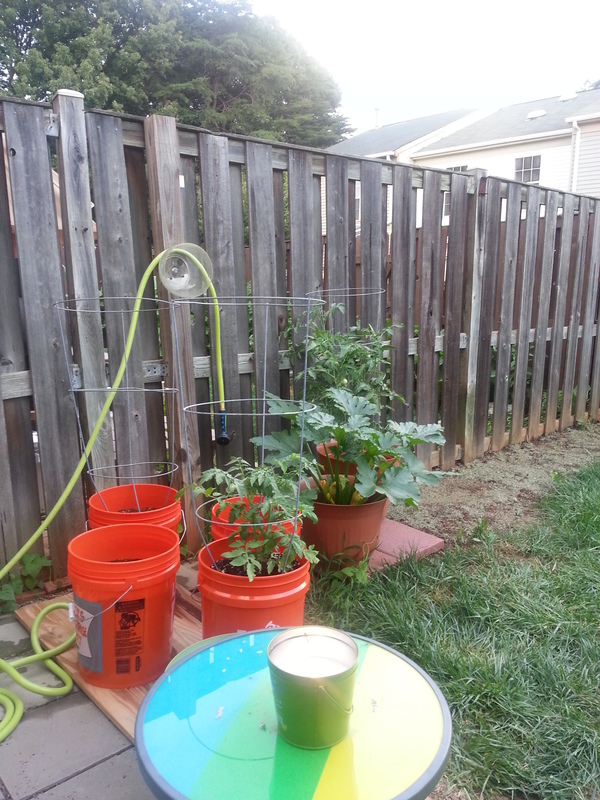 About six weeks ago I planted tomato, squash, cucumber, and basil plants. I was really excited about the plants and eager to see them grow. 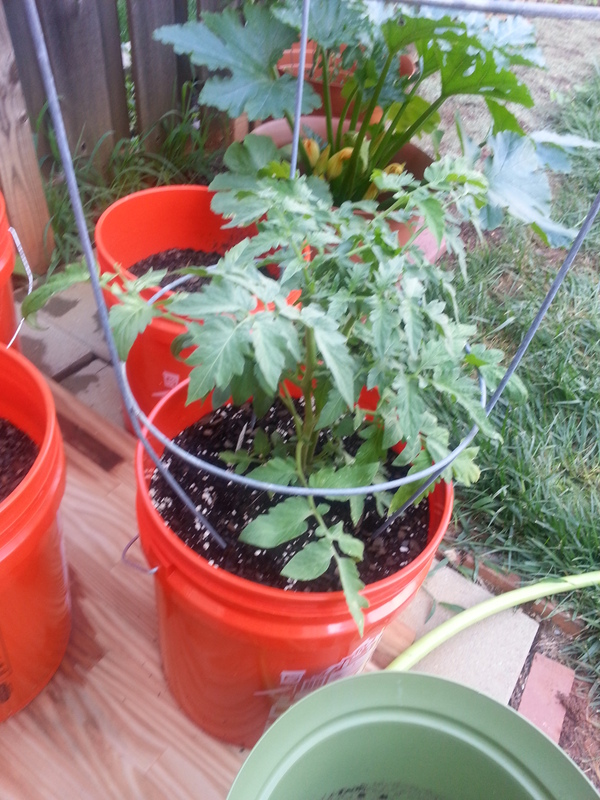 What I didn’t know at the time was that I needed more soil and the tomato plant needed more depth for its roots. My aunt told me to keep it and plant another as well. Feeling a little ambitious I planted beefsteak and cherry tomatoes. 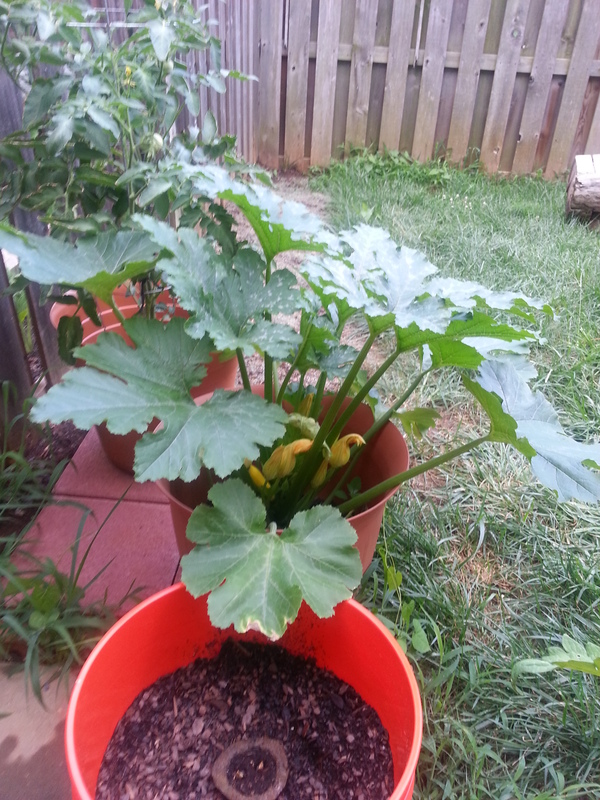 I also planted zucchini and sweet red bell peppers. 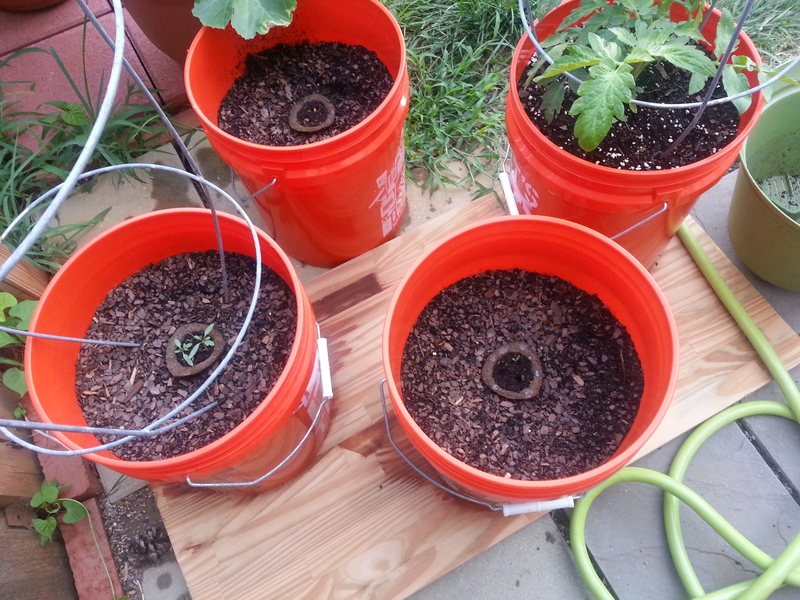 I got some Home Depot five gallon buckets and drilled holes in the bottom. I should also mention I bought a big girl homeowner power drill/driver set. I feel so empowered. I took my time this round and made sure I had enough rich soil and planted them with enough space for them to grow. I’m happy to say that all of the plants seem to be doing pretty well. I lost the cucumber plant early. The soil started turning green and then the stems died. I’ll have to research the symptoms and try again next year. The Home Depot crops were planted about 2 weeks ago so they are just starting to sprout. The tomato plant was a seedling so it is much bigger. If you’re a first time gardener, I highly recommend the Miracle Gro pods. All you do is take the cover off, put them in soil, and keep them watered. They are usually about three dollars each but after Memorial day you can get them for about a dollar each. Amazon also sells them in an eighteen pack for 17 dollars. 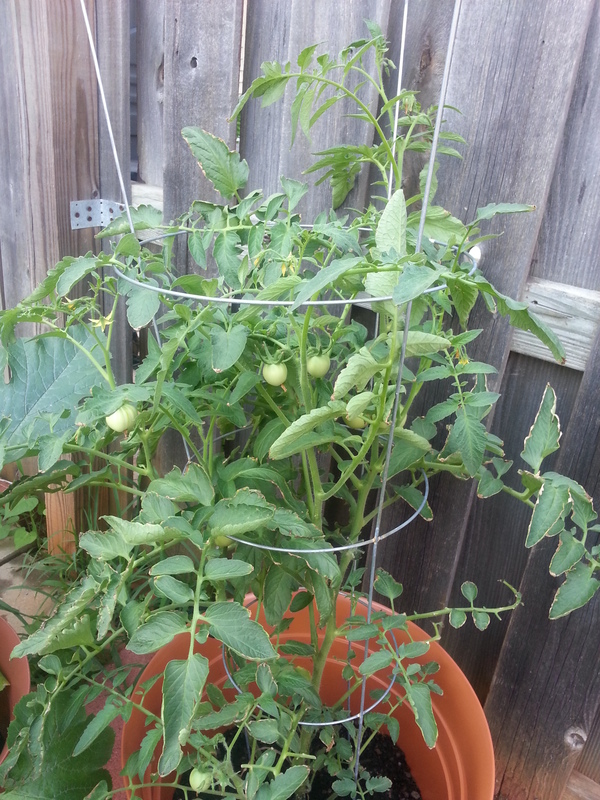 I have about six little tomatoes on my old plant. I added more soil at the base and I think that helped it. The squash plant has the most beautiful flower buds. 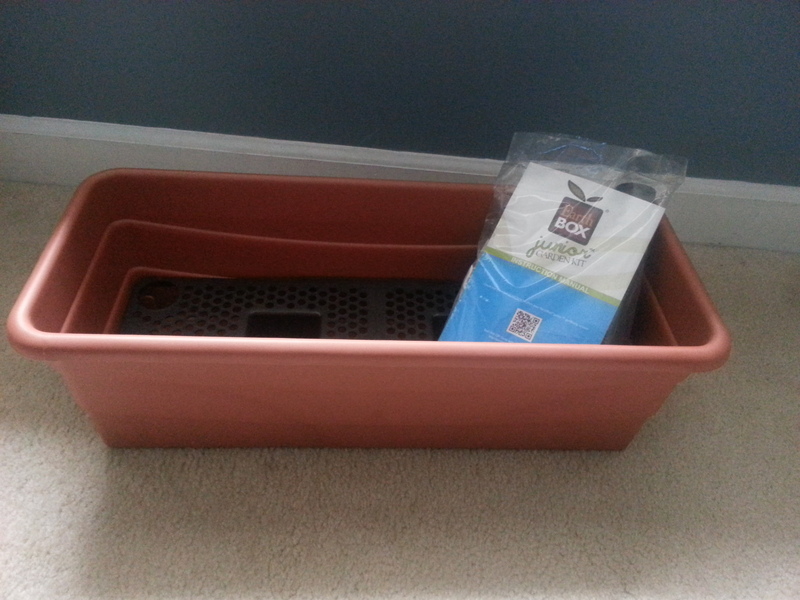 My aunt bought me an Earthbox planter for my birthday and I’m going to do an herb garden in it this weekend. Once again I’m in awe of nature and its simplicity. I’m watching the miracle of life, earth life that is. Now I understand why farmers enjoy what they do, the results are amazing gifts for our enjoyment. I’m looking forward to sharing these gifts with my friends and family over the next few months. Who knows I may actually figure out what I’m doing. Let me know what you think of the new crops. Your plants look healthy! I am very proud of you. Once the cherry tomatoes start to ripen, you will pick tomatoes every day. U feel so proud of yourself! Isn’t it wonderful to see your plants. There is one more thing ‘talk to your plants.’ Good job!!! They look great and so healthy. The squash looks good.